In December 2018 Stockport Council and 3 partners received an award from the Local Digital Fund to explore a way for frontline children’s services workers to access the information they need on a child’s family context. 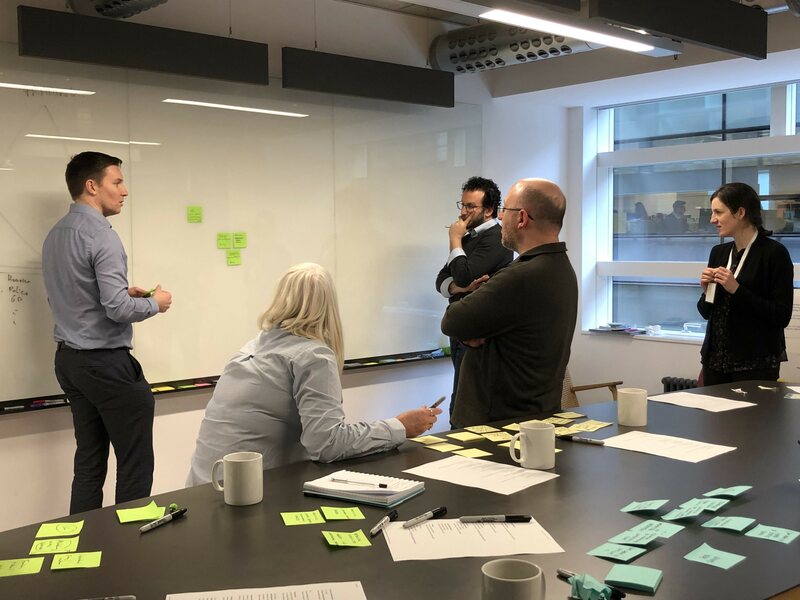 Since our last blog, the project team have been hard at work collaborating at events in Stockport, Leeds and London to help share progress, refine our approach and plan future stages of the Local Digital Fund “alpha” project. 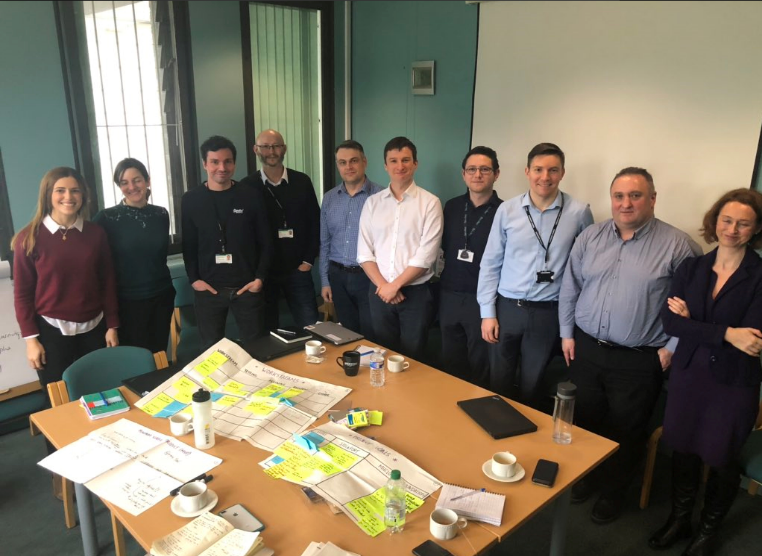 We have also been busy showcasing our progress at various regional events including at the #sharedigital19 event in Birmingham on the 7th March where we hosted a round table discussion to highlight our learning and update everyone on what we plan to do next. Over the last few weeks we have further tested our assumptions with Social Workers in both Stockport and Leeds, whilst also beginning to gather feedback from other Local Authorities. This has included an intensive three week design sprint in February where we further refined the questions we need to be able to answer and the potential tools that frontline workers would find most beneficial. A design sprint is a focussed process for answering critical business questions through design, prototyping and testing ideas with key stakeholders. Design sprints are an effective way of short cutting what can be a long cycle of debate and feedback gathering, helping to identify what any potential prototype should look like. Product Manager – managing the product direction and requirements based on customer feedback, development capacity etc. User Researchers – working closely with customers to better understand their requirements in terms of content, functionality, experience etc. Map and explore Social Worker workflow. 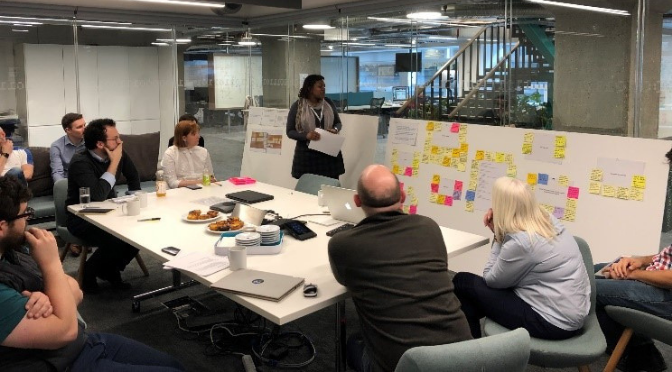 This included mapping user experience and flows of the service, creating user journey maps helping to visualise a user’s end to end experience and allowing the project team to break down a broad challenge to a specific target. Co-create small experiments to gather feedback on potential solutions from real users. Conversations covered data sources, how best to utilise social worker time and consent/information governance issues; all ultimately to help refine user needs. Rituals and ceremonies included daily stand up meetings, pairing and working together, rapid iteration, the “four step sketch” method (notes/ideas, rapid iterative sketching process, solution sketching/storyboards and a critique phase) and regular retrospective events where we could review what was working well and what wasn’t – everything you would expect from an agile project! Following this, we met as a project team and began to work out what data we can readily access and how we best source the information we need in order to build the prototype. This includes focusing on the “art of the possible” for our alpha project as timescales are tight. We identified the datasets that both Stockport and Leeds could include and are now planning for the next stage where we plan to run a pilot in both localities to see if the information is useful in practice, at the time of a social work assessment. We’ll keep you updated with our results as we continue with our endeavours to #FixThePlumbing!